Color is the place where our brain and the universe meet. That’s why color appears so entirely dramatic, to true painters. Look at mont Sainte-Victoire there. How it soars, how imperiously it thirsts for the sun… …For a long time I was quite unable to paint Sainte-Victoire; I had no idea to go about it because, like others who just look at it, I imagined the shadow to be concave, whereas in fact it’s convex, it disperses outward from the center. Instead of accumulating, it evaporates, becomes fluid, bluish, participating in the movements of the surrounding air. Yes, I am one of those weird Moms who plans their children’s birthday parties months in advance! And I embrace the weird! Abbey will be turning 2 in May (tear…) and I have been collecting ideas for her party for a little while now. The theme has gone back and forth, but I think the final decision will ultimately be Winnie the Pooh. Abbey LOVES Winnie the Pooh. She loves him SO MUCH that we even waited in line at Disneyland for 2 hours last year so she could get a picture with him. My one-year-old waited in line for 2 hours without a complaint, to meet Pooh. That’s serious love. 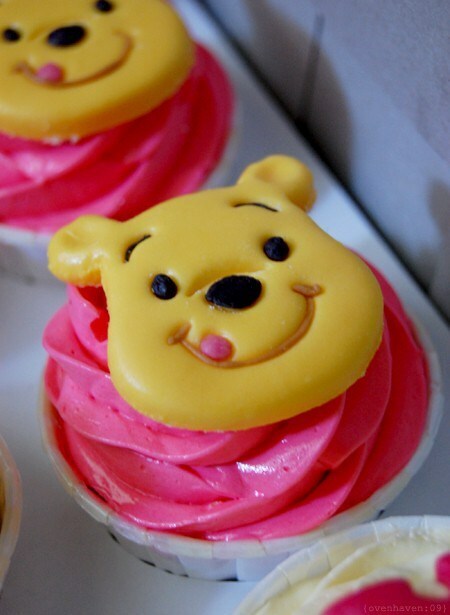 So what better a theme for her birthday party than Pooh?! We have gone back and forth because she also likes Abby Cadabby and Mickey Mouse, but we’re pretty set on Pooh… her love for Pooh is unwavering.